Providing a warm, comforting environment to grow your business in, this space works hard to ensure you're able to network, collaborate and do what you need to do, without the worry about bills, rent and lease lengths. Fully equipped, you'll want for nothing in this amazing space, aided by the amazing Jakarta skyline views available from your desk. Located in central Jakarta, you're only minutes from several transport links, making your daily commute a breeze. Private offices, virtual offices, meeting rooms, business cafe, relaxing business lounge and welcoming reception handled by professional staff ensures that all clients are looked after and supported at this centre. Copying and printing facilities as well as refreshments, mail handling and high-speed internet allows clients to work professionally and efficiently. From start-ups to small to medium enterprises through to transnational corporations; clients from all industries and of various sizing are welcomed. Situated in the most prestigious CBD area of Jakarta City, this centre has everything client's will need at their doorstep. With several transport links such as Kebayoran Station located down the road, clients can access the building with ease. Also the Pacific Place Shopping Mall and The Ritz-Carlton Hotel are situated within walking distance as well as a variety of cafes and restaurants are found close by. 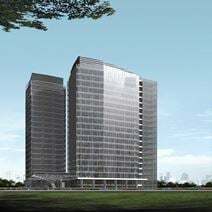 At the prestigious business district of TB Simatupang this prime multi-use development provides state-of-the-art facilities and great access to the MRT. The centre is centrally located and nestled amongst 7.2 hectares of open space in South Quarter. The centre benefits from close proximity to banks, medical facilities, residential areas and also offers direct access to the highway leading to Soekarno-Hatta International Airport. 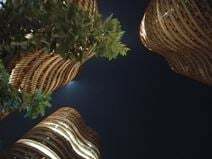 This centre is part of the largest integrated mixed-use development in South Jakarta and is made up of office space, a hotel, condos and a retail shopping mall. 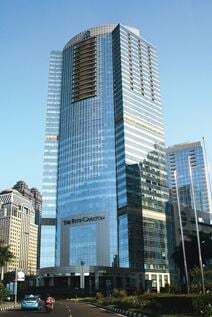 Office for lease is located within the Grand Indonesia Development and will be the tallest office building in Indonesia upon completion. The office building will be directly linked to the five-star Hotel Indonesia Kempinski, retail plaza and entertainment complex. Amazing views of Jakarta in guaranteed as well as the latest design and technologies. This business centre is close to a major shopping mall, which offers many shops, restaurants and more. The centre is situated an Grha Sentra, and offers a selection of business spaces to suit your requirements. These rental offices enjoy a superb location in the heart of Jakarta's central business district. The office is designed in a modern style with bright natural light and spacious reception area. Close to facilities such as Plaza Senayan, Senayan City, Mulia Hotel as well as many entertainment and dining venues. Situated just 5 minutes form the Mega Kuningan CBD area, this address has direct access to Sudirman and HR Rasuna Said. 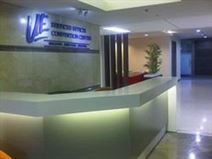 This centre provides a range of office solutions, as well as a spacious lounge area overlooking Jakarta. The complex offers banks, fitness facilities, food outlet and a supermarket. This business centre is ideally located in one of Jakarta's iconic business districts. 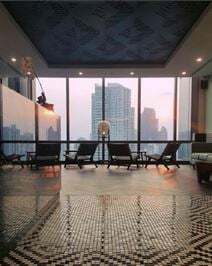 Situated on the 30th floor of this building, the office offers amazing views of Jakarta City right from your desk, and is a surefire way to impress visiting clients. 13 newly-refurbished office rooms are available for up to six people, with modern design and furniture to give you the perfect "get in and go" working environment. Located in Jakarta's business district and close to international companies, banks, shops and hotels, this busines centre offers a open-plane office space and office suits, training and conference rooms and virtual office solutions. All these office spaces are elegantly furnished and technologically equipped to offer a highly efficient working environment. In the heart of the Kuningan CBD this centre is housed within one of the newest buildings in South Jakarta. Cat 6 cabling comes as standard and while there is parking and a boardroom available. Just Announced - The centre is in Jalan Jend. Sudirman. KRL Commuter, TransJakarta and MRT Stations are just outside of the building directly which is a convenient location. The centre provides phone booths for conducting private calls and video chats, fruit water to keep you hydrated, meeting rooms for you to hold a meeting, cleaning services to tidy up your work place and social event for you to join so you can meet up with your coworkers. 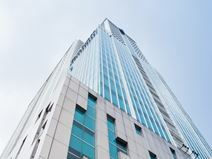 This 38-storey Grade A building provides a range of flexible office space strategically situated along Jalan Jenderal Sudirman and with floor-to-ceiling windows tenants have great views over Sudirman city. Ideal for major corporations and financial institutions. 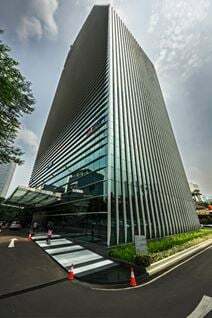 This business centre is housed within one of Indonesia"s tallest buildings on Jakarta"s principal boulevard for business. A friendly business support team are on hand to complement the quality office space available. 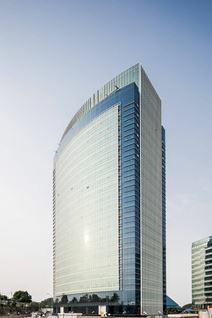 Within an advantageous location in the Golden Triangle, this office facility is well connected to the central business district. This is a modern business centre offering 54 units of serviced offices, all tastefully furnished and well equipped with the latest technologies. 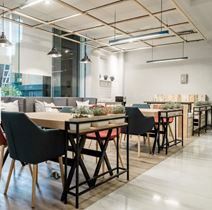 With a wonderful community vibe and beautiful and classic interior design with a modern twist this co-working space is located in the very heart of Jakarta with great access to local transport such as the Sudirman Train Station. Tenants benefit from regular workshops and events. This centre boasts a convenient location surrounded by hotels, shops, banks and entertainment venues. 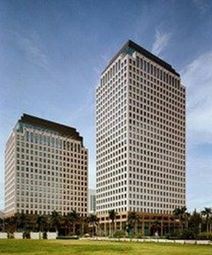 This is a Grade A office tower providing a range of office solutions as well as a selection of business services. 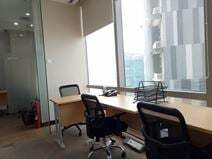 In the core of financial and government Central Business District of Thamrin-Jakarta this professional office space is close to major shopping malls, hotels and banks. Tenants have access to meeting rooms while guests are welcomed by a warm reception area. Virtual office and co-working options are available. There is an attentive onsite management team, who are there to help with requirements. A cleaning team keeps the space looking clean and tidy. Free refreshments are available. There are office printers and high-speed Internet. Situated in a dynamic neighbourhood, just off Jl. Jend. Sudirman. Sudirman train station is a 12 minute walk, and Tosari ICBC is one minute away. It is a three minute walk to Grand Indonesia mall. In the surrounding area there are shops, bars, restaurants and hotels. It is a 54 minute drive to Soekarno-Hatta International Airport. Located in a prime multi-use development in the heart of Jakarta, this space offers an array of amenities on-site, including complimentary beverages, free high-speed WiFi and access to meeting rooms for up to 20 hours per month. An on-site receptionist is available to answer calls and handle your mail to lessen the number of things you have to do in a day - they are also ready to greet your visitors and provide the highest standard of service to make first impressions great. The centre based in the heart of the city offers both flexi and dedicated desk solutions in a productive environment. It is just a few minutes away from the Transjakarta Bus Station and it hosted events include self-enriching workshops all the way to casual series viewing evenings. If you are looking for a coworking space in Menteng or Central Jakarta, this will be one of the most strategic option for you. With offices catering for one, two and eight people within this professional space, you need not look any further for your fully furnished office and leather-seated meeting room with wooden laminate flooring. The Pullman Hotel and Central Park Mall are opposite to this centre so you are within close proximity to coffee shops and restaurants, fine dining restaurants, banks, the cinema, saloons and barbershops, as well as a church, schools and universities. Everything you could ever need is within grasp including leisure venues for socialising and the river for lunchtime walks. This impressive building offers office spaces which can be tailored to the clients' needs and are provided with manned reception area as well as secretarial and administration support. Set within the business district of Jakarta, these offices enjoy an exclusive location and are well connected to the airport and the motorway network. This business centre enjoys an excellent position, just 45 minutes from the airport and close to the bus station. The centre offers a secure and comfortable business environment, close to restaurants and more. 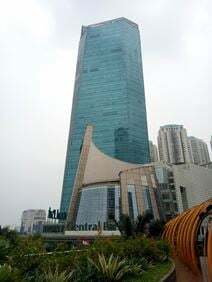 This centre is located in the central business district of Sudirman, one of the most prominent business area in Jakarta. The space is situated on the 18th floor of this tower and provides beautiful views across the city. The serviced office solutions on offer are individually fitted and furnished to a high standard throughout. These ready to use the suites vary in size from two to 16 work-station spaces. State of the art communication technologies are a major attraction of this business centre - personalized call answering, external call transfers and voicemail capabilities come as standard. 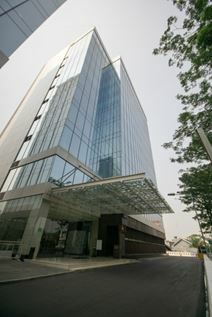 The centre is well-established and has been used by many international companies to expand their business in Jakarta. 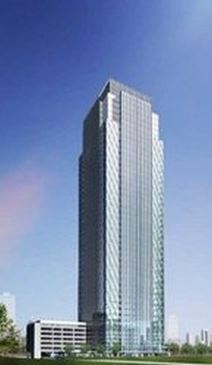 This is certainly helped by its prime location in the central business district of Jakarta. 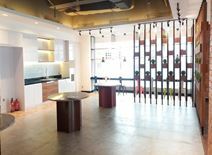 With office space that can accommodate up to eight people, this centre in the Kelapa Gading area is located within a stunning building and also offers a choice of a small and a large meeting room. This prestigious landmark in the heart of Jakarta’s CBD houses beautifully designed co-working space and private offices. With meeting rooms to cater up to 18 people and event spaces suitable for 80 this centre offers a variety of solutions to suit your office needs. Pantry services offer in-house baristas that serve snacks and drinks all day, while printing facilities allow you to print and copy in both gray scale and colour. Staff will be found on-site Monday to Friday from 8am-9pm and weekly events are available for all members to attend; from beer pong to free food, and enriching networking events. Making business in Jakarta easy, this centre offers modern serviced offices and virtual office options for you to establish a business presence in Jakarta. Removing the risk and helping you register your business is what this company does. 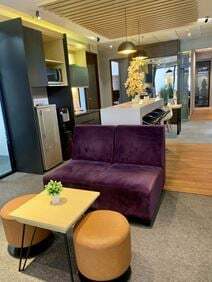 Located in the Soho Capital building, this centre is close to Central Park Mall and Taman Anggrek Mall, and has close access to public transport and a variety of food and beverage venues for you to enjoy with clients or associates. 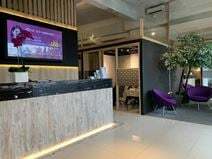 Situated in Meruya, West Jakarta"s business district and only a 20-minute drive from the international airport this modern business centre provides a choice of nine fully equipped office suites, meeting rooms and a lounge bar. Half an hour from the international airport this Platinum Certified Green building is set in the prestigious TB Simatupang area of the city. The office space available enables tenants the opportunity to customize the layout of the interior to suit their business needs. Serviced offices available on flexible terms in an iconic TB Simatupang building with good access to the rest of Jakarta and amid a great range of local amenities. This urban and "green" building is one of the most sought-after in the south of Jakarta. Facilities in the building include a swimming pool, gym, coffee shop, travel agent and more. The serviced offices on offer are both convenient and professional. This Grade A building is "Green" and is located in a prime area of Jakarta with easy access to the international airport and surrounded by restaurants, shopping malls, banks, hotels etc. The business centre provides a range of serviced office suites, meeting rooms and virtual office solutions. This center is set in a Grade A building, just 5 minutes from the CBD Mega Kuningan area. This is a highly accessible business location, offering a range of services to suit your business needs. 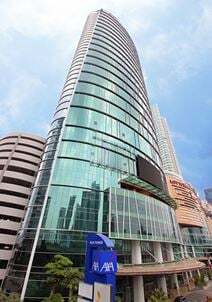 This new office tower is part of the Kota Kasablanka Superblock and provides a variety of fully furnished spaces that are only 10 minutes from Kuningan and has an integrated mall. Very well connected to public transportation as the next bus stop is within one minute from the workspace. With it's strategically location the centre has a lot of international restaurants, cafes and bars close to the building. On the Ground Floor you have the choice of an open plan casual working environment or 4 Private Table space on the Second Floor. Furthermore they also offer a 6-pax meeting room with TV facility on the Second Floor. Located in the Mega Kuningan business district, a well-known area of business and entertainment, and easily accessible from Jl. Sudirman, this fully furnished suite also has a meeting room that can cater for up to eight people. A contemporary work-space offering virtual office, co-working, and private office solutions. Vibrant colours feature throughout. The interior is wooden, modern, and stylish. Glass partitions between offices ensure plenty of natural light reaches the space. Free refreshments are included. High speed Internet is accessible all through the centre. Situated in the heart of Mega Kuningan CBD. In the surrounding area, there are a number of embassies from countries including; Singapore, Turkey and Qatar. Nearby, there are many restaurants, bars, cafes and hotels. It is 19 minute walk to Kuningan City Mall. Soekarno-Hatta International Airport is a 45 minute drive from the space. A calm and professional yet comfortable serviced office space situated in Plaza Mutiara. Leaving a strong impression for your business, this centre offers private and shared offices, virtual office options, and co-working spaces so your compan can operate individually or as part of a community. Closely located to international hotels for out of town guests, cafes, restaurants, bars, consulate offices, and is less than a 15 minute walk to Lotte Shopping Avenue which houses a range of international retail brands. This office space has hot desk, dedicated desk, and private office solutions. Contemporary, stylish interior makes for a professional environment. Large windows ensure a great deal of natural reaches the space. 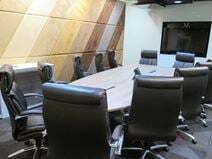 There is a large conference room, which can cater for up to 18 people. Breakout areas feature sofa-style seating. Located just off Jl. Tol Cawang Grogol. It is a 45 minute drive to Soekarno-Hatta International Airport and 13 minutes' drive to Tebet Station. Close-by, there are shops, bars, restaurants and cofee shops. There are also several shopping malls. There are also a number of embassy's and cultural centres including; British Council, Embassy of Poland, Embassy of Thailand and Embassy of the People’s Republic of China. Based in Central Jakarta the centre is easy accessible through highways as well as by public transport. 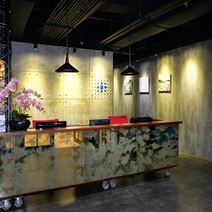 Furthermore it has a reception service, natural light and some nice paintings to make you think creative and is surrounded by refined yet iconic art places & historical buildings in Jakarta. They offer free refreshments, high-speed internet, a cleaning service and parking against a fee. This is a one stop business centre in the heart of Jakarta commercial district. It offers excellent facilities such as spacious conference meeting rooms, dedicated broadband access, modern workstation and lounge area. Business support services are provided by qualified staffs. It is surrounded by multinational companies including AMEX, Citybank, Valbury and Singapore Airlines. Situated in a prestigious building at the core of the country's main finance district, this stylish business centre provides a variety of office space solutions, along with a great selection of amenities. Close to a huge range of businesses including international banks, Sudirman CBD, Stock Exchange and many world-class hotels and restaurants. Opening soon. A fully-furnished, modern office space. Choose from private offices, hot desks, dedicated desks and virtual office solutions. Well-equipped meeting rooms can be booked. Air conditioning keeps the space at a comfortable temperature. Situated in the heart of Jakarta, on Jl. Jalan Jend. Sudirman. Sudirman Station is a 21 minute stroll away and the closest bus stop is four minutes away. Close-by, there are many hotels, cafes and restaurants. More than 25 fully furnished and serviced office suites wired with the latest technology are available at this Grade A building in Jl. Jend Gatot Subroto, one of the most prominent business districts in Jakarta and just minutes from the Mega Kuningan business district. The business centre provides flexible office spaces and a wide range of features to cater for the discerning business. Conveniently located at the heart of 'Golden Triangle' with quick access to the city centre. All major office buildings, banks, hotels, restaurants and residential complexes are just a stone's throw away. This brand new co-working space found inside Jakarta’s most beloved mall takes co-working to a whole new level. Designed for modern thinkers this space offers high speed internet, state-of-the-art meeting rooms, member networks with benefits, exclusive events and workshops, and so much more to allow you to work, live and play all within the same convenient location. Dreamers can find structure, creatives will find tools, and influencers will be able to create networks of like-minded entrepreneurs all to help boost business opportunities. Treat yourself or loved ones by doing some retail therapy at lunch; catch up with colleagues and network in a more relaxed setting with a drink in hand at the Potato Head or a number of other restaurants or cafes that are sure to become your favourite; or reward yourself with a bit of pampering at one of the beauty bars when you need to take a break from all your hard work. Whatever you choose to do to take the weight off, this space is located within five minutes walking distance from it all. Occupying an upper floor of Centennial Tower, this centre offers brand new, flexible serviced office space for all clients. With no interior construction or setup costs, your business can have access to this premium business centre without having to lock into a long term contract or worry about varying team size. Onsite staff are fluent in Japanese, English and Indonesian and also have a great understanding of international business practices especially Japanese, so they can help your business excel in this region. These rental offices are fully furnished and offer stunning city views through floor to ceiling windows. 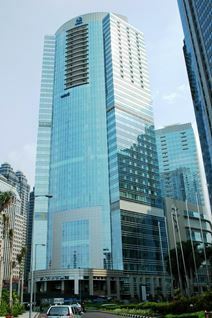 The office is located at downtown Jakarta and close to the Jakarta Convention Centre, Stock Exchange and Jakarta Hilton. The office is part of an integrated multi-purpose complex with road access from three different locations. Exclusive serviced office with complete facilities is available in Mayapada Tower, in the central business district area. These come with outstanding services at a reasonable cost. The office is surrounded by multinational companies, international banks, major hotels and exclusive shopping centre. 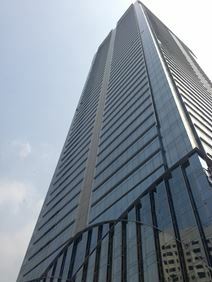 This impressive skyscraper in Jakarta offers fully furnished office spaces, technologically equipped and provided with a full range of services and facilities to offer a highly efficient working environment. 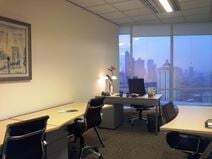 Located right in the business district of the city and surrounded by international leading companies, banks and institutions, these offices offer an ideal location to run a successful business. This exclusive boutique serviced office centre has a range of solutions to suit your business. This is a impressive address, with a superb range of business support services. Some suites enjoy magnificent views across the city. Situated at the heart of the central business district, this location provides you with easy access in all directions. This is a premium building managed by a reputable building management team. A range of offices are available to suit your needs. Private offices and co-working spaces all equipped with ergonomic chairs, super-fast internet, free-flowing coffee, tea and water as well as fully-stocked pantry services. All members are provided with 24/7 access as well as access to meeting and conference rooms, exclusive access to phone booths and community events, and a front desk to manage all visitors to the space as well as providing parcel handling and mail services. In the heart of Jakarta you will find this integrated centre. Located with a mall with building access provided from both the front and back side of the building which is free from the odds-even rules for cars. Minutes away to Stock Exchange, Senayan Sport Complex, Senayan Golf Course, Plaza Senayan, Senayan City and is just walking distance to Trans Jakarta busway station and MRT (coming soon) supplying you with personal, business and recreational facilities. This centre is opening in September 2018. Situated in a Grade A building in the heart of Sudirman, clients can enjoy such modern and professional environment. Services such as reception, administrative support as well as mail handling are just some of the benefits of this centre. High-speed WiFi, printing and copying facilities and meeting rooms with conference facilities allows clients to work efficiently each and every working day. With great transport links, various cafes, restaurants, shops and many other amenities surrounding the building, clients can benefit from this location. Many train stations, such as Sudirman and Stasiun Karet are found near by and there is a metro line that runs directly outside of the building making accessing this centre very easy. These modern offices are great for any client wanting to work in a professional and fun environment. With high-speed WiFi, copy and printing facilities as well as reception services and administrative support; clients have everything they need under one roof. Please get in touch for more information about this centre and the availabilities. Situated near to a variety of transport links, shopping areas and places to eat, this centre has a great location for clients to take advantage of. With Stasiun Karet and Kebayoran Stations near by as well as metro stops and many car parks available to use close to the building; tenants can commute to this centre very easily. Flexi and dedicated desks offered in a modern, young and dynamic space with people of all backgrounds. Take part in hosted events like workshops and TV series viewing evenings, all while mingling with fellow co-workers in this productive environment, building networks and collaborating ideas organically. This space is easily accessible through Jl. Gatot Subroto, Pakubuwono, Senayan, Semanggi, Sudirman and SCBD due to it's convenient location at Menara Mandiri. With shopping centers like Ratu Plaza, Plaza Senayan, Senayan City, FX Sudirman, Plaza Semanggi and SCBD situated nearby, all of your day-to-day needs can be found in one community. A dynamic, fully-furnished work-space. Every floor has its own space stocked with a business-class printer, office supplies, and paper shredder. Stay caffeinated throughout the day with an infinite stream of freshly roasted coffee. From workshops to thought-leader panels and cheese tastings, our programming helps you nurture a strong team culture. Phone booths are accessible. These soundproofed alcoves provide comfortable sanctuaries for conducting private calls and video chats. Situated in the heart of Sudirman Central Business District. You will be spoilt for choice with the wide variety of restaurants and bars located nearby. Pacific Place Shopping Mall is a five minute walk away, where you can enjoy excellent shopping. The closest bus stop is a five minute walk from the space and parking is available beneath the building. Situated in the heart of the central business district, the centre enjoys an enviable location with a convenient connection to airport and other parts of the city centre. The centre itself is an architectural masterpiece and combines this with excellent interior designs. This is a high quality serviced office facility surrounded by many useful amenities. Situated in the heart of the Sudirman Central Business District, this centre boasts plenty of parking and exudes prestige and style. A full range of business support services is available. This Level 23 penthouse unit provides unique office space in the heart of the financial district of Jalan Jenderal Sudirman. Meeting rooms with cutting-edge technology and fantastic views also available. This dynamic working environment is located on the 15th floor of this building and as such provides great views over the city. Fully furnished and modern office suites near Cawang-Grogol toll road and within easy reach of various public transportation. 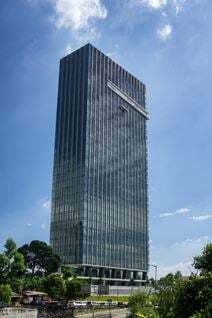 Located on Jakarta"s principal business boulevard and part of the Sahid City Complex, home to leading global financial institutions, this centre is within a modern landmark tower and provides serviced offices that can accommodate up to 10 people. Providing both a prestigious address and a comfortable office to call "home", this space offers you the perfect representation of your company. Your office is tailor-made to suite your business requirements, and the on-site, professional and multilingual staff are available to assist you with whatever you need. Located in the centre of Jakarta's CBD, local facilities include shopping centres, hotels and fitness centres. Your work-life balance will be in perfect harmony thanks to the advantageous location of this space. The area is home to some of the worlds leading banks and professional firms. 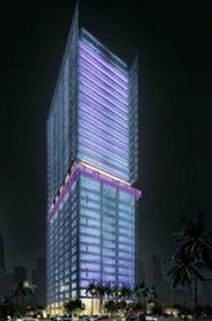 This is an area of rapid development, and this is a superior corporate address for business in Jakarta. This is a safe and secure environment for your company to flourish. Based on Kemang Raya in the south of Jakarta, this space offices you everything you could need to focus solely on the growth of your business. From virtual office packages, co-working spaces, and private offices, choose what you and your business needs. Complimentary beverages, on-site support staff and high-speed WiFi are just some of the fantastic benefits of allowing this space to take care of your company. Freelancers, professionals, entrepreneurs and small company owners will find a space to accommodate their needs within Jakarta. Excellent working space, with a range of options for your business such as prestigious virtual offices, hot-desk and dedicated desk co-working solutions, and the totally private office rentals. With meeting rooms available on an hourly basis you will feel comfortable conducting your business here. Take a moment to stretch and relax in our breakout lounge beside a large window which shows you sweeping views of the Slipi area and its surrounding, and enjoy all the facilities this space has on offer including high speed wireless internet, a pantry where you can prepare your delectable lunch as well as the aforementioned meeting spaces and breakout space. Nestled within the Grand Slipi Tower and conveniently surrounded by restaurants and small shops, this space is in a prime location to service your daily needs. With the bus and trans-Jakarta bus stations located around the corner, you can access many different locations within Jakarta from this location. These brand new private offices are perfect for all clients of different sizes and from various industries. With meeting rooms, conference facilitates, breakout area as well as printing and copying facilities available to use; clients are able to work professionally and efficiently each and every day. In addition, tenants will receive administrative support and reception services so that any needs they have are catered for. This centre is opening in August 2018 so please get in touch for more information. Many boutiques, banking services, luxury hotels, bars and restaurants offering a fine selection of cuisine for all tastes are located within and around this building. Great transportation links such as bus, train and metro are available for clients to use to commute to work. Or if clients wish to travel to work by car, they can do so wight he ample parking spots surrounding the centre. 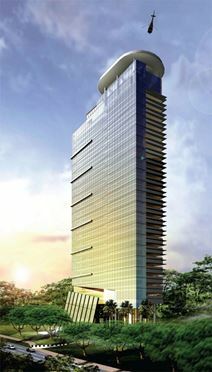 This 32-storey building is close to a number of major business complexes along The Golden Triangle. With 300m² of office space the centre provides fully furnished office suites, meeting room, and high-speed broadband wireless internet access. The centre is in Jl. Muara Karang Raya which you can take public transport or drive to the centre easily. The centre is surrounded by restaurants, noddles shop, fast food shop, bakery shop and bank which providing a great access to all you might need within your working day. The centre provides a lot of amenities such as air conditioning, IT support, meeting room and high speed Wifi for members daily use. Based in South Jakarta, this workspace is designed to help create a collaborative community of businesses and entrepreneurs alike. 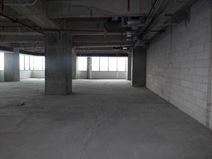 As a tenant, you'll be able to access this space 12 hours a day, and you can take advantage of the high-speed internet connections, personal storage plus the meeting and events space which is available for rent. A number of cafes and restaurants surround this space, offering you plenty of choice for lunch, dinner, or even just a quick catch up over a coffee. Strategically located in Pantai Indah Kapuk a growing area of business in North Jakarta, this 1,200m² centre is one of the largest coworking spaces in Indonesia and is ideally located within PIK Avenue Mall providing instant access to all of its amenities. strategically located in the prime business district of East Jakarta with easy access to public transportation, shops and food stations and away from traffic with an on-ground staff from 8am-6pm. All day coffee and snacks available as well as printing facilities and monthly events. Brand new building which comes fully furnished and with spacious parking lot. The centre located between Central and North Jakarta is very well connected to public transportation and easy accessible from Jl. Ir. H. Juanda, Jl. Lapangan Banteng, and Jl. Gunung Sahari. It has an Art Deco architecture style influenced by John Van Hoytema and it will allow you to experience a contemporary co-working experience when you're looking for a space around Batavia's tourism site. This is an exceptional building offering the very finest in office accommodation, part of a major development which includes restaurants, pubs, a gym and much more. This is a great location in the heart of Jakartas Golden Triangle. Spectacular views abound. Based in a prime area in Jakarta and surrounded by many cafes, different types of restaurants and hotels as well as the centre is well connected to public transportation as the next bus stop is just in front of the building. Furthermore they accommodate their members with communities that makes you working in a really great environment. 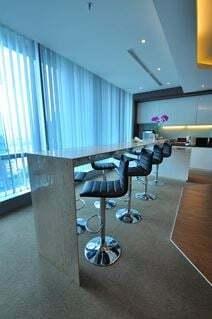 This is a luxurious office building which offers stunning views over the central business district area of Jakarta. The office is surrounded by major hotels, international banks, exclusive restaurants and boutique shopping malls. Situated in a major development in the heart of Jakartas business district, this easily accessible business centre is surrounded by a host of banks, hotels and other local amenities. The centre offers high-quality office space in a variety of arrangements to suit your needs. Valuing inspiration and collaboration and well positioned in the TB Simatupang area, one of Jakarta"s premier business districts, this business centre provides a mix of coworking and private office space ideal for start-ups, freelancers and innovative enterprises. Quick access to the toll road allows the airport to be within easy reach. Opening soon. A modern office space. Micro-roasted coffee and iced fruit water can be found in every kitchen area. There are frequent professional and social events. Step into the games room and challenge one of your colleagues to chess, shuffleboard and more! Event space is available with lighting controls, sound system and a projector. There is a wellness room for those looking to pray, meditate or you are a nursing mother. Located in a vibrant, innovative community in Central Jakarta. Sudirman Station is an 11 minute walk away. It is a 10 minute walk to Citywalk Sudirman mall. Nearby, there are many restaurants and bars to explore. Soekarno-Hatta International Airport is a 45 minute car journey. Looking to work in an upbeat office environment where you can collaborate and network new working relationships? Work in this central Jakarta office space, and that's what you'll get. 24-hour access, shared internet, printing facilities and fully furnished space are just some of the fantastic amenities you can benefit from in this centre. Commuting to this centre on a daily basis will never be an issue thanks to the proximity of local train stations and bus stops, plus Pondok Cabe Airport (PCB) is accessible in less than 15 minutes. Equipped with state-of-the-art facilities and fully furnished with co-working spaces and private offices, this centre is perfect for all independent creative entrepreneurs and professionals who are wanting to work in a supportive and friendly environment. Situated in the heart of Jakarta with numerous cafes and restaurants to choose from as well as many hotels and shops; tenants are able to relax and take in what Jakarta has to offer during lunch hours and after the working day is over. 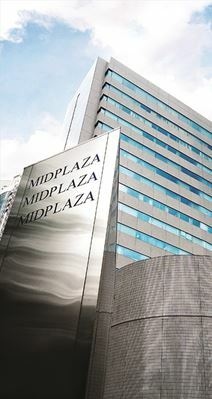 This centre is situated at Pondok Indah, and provides an impressive business address in South Jakarta. Offering 200 workstations, fully furnished office suites, meeting room, conference facilities and more. This well-linked centre, based in the south-west of Jakarta city, offers collaboration and friendship in this fantastic space. Whether you need private office suites for a team, or just one desk for working on your terms, you can benefit from some fantastic amenities, including private storage lockers, access to meeting and events space (additional costs apply) and even super-fast internet connections. With a strategic location at Jl TB Simatupang, this is a highly accessible business address which features fully furnished offices, meeting rooms, conference facilities and high-end IT infrastructure. 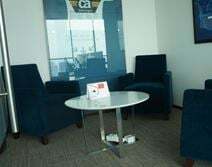 Situated in the heart of Jakarta Central Business District, and just minutes from the airport, this business centre provides fully furnished office accommodation along with a host of business support services. 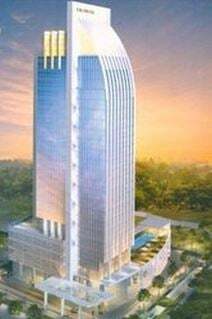 Spacious and luxurious office space on the 18th floor of a sought-after building in Simatupang. Available are a range of suites suitable for one to 20 people as well as a co-working area. Move in and start working almost immediately. Situated in the core of TB. 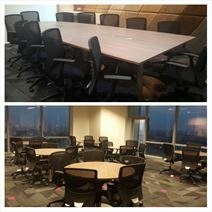 Simatupang area, South Jakarta in a landmark building this serviced office space is in one of Jakarta"s most prominent business districts and provides easy access to the CBD. This space, based in the southern area of Jakarta, offers a comfortable environment where you can collaborate with like-minded business people to develop your innovative business ideas. Take advantage of being able to access this space 12 full hours a day, with a super-fast internet connection to guarantee you won't waste time waiting on download speeds. A well-designed meeting and events space is also available for rent at an extra cost - perfect if you plan on hosting that big launch. Taking the burden out of office rental so you can focus on building your startup and managing your business. Offering affordable and flexible space with services that meet all your needs such as printing, beverages, and high-speed internet. With the opportunity to make everyday different in a young and dynamic environment, you can take opportunities to mingle and build your network so you never feel bored or trapped. With desk chairs, bean bags, and long desks all in a barrier-less environment this space offers comfort and collaboration. Featuring quiet rooms for self-thinking you can also take a moment to yourself to boost productivity in your daily tasks. Found near Sarinah shopping and the food center on Jl. Sabang, this space is surrounded by a variety of restaurants, as well as hotels, bars, shops, banks, and a hospital so there is no need to travel far for your daily needs. This space is also highly accessible via Jl. Jendral Sudirman, Jl. Pangeran Diponegoro and Tugu Tani. Very well connected to the public transport as the Transjakarta Bus Station is just a few minutes away from the centre. It is based in the heart of the city and it's surrounded by numerous exclusive shopping malls, 5 star hotels, lifestyle centers as well as restaurants, cafes and bars if you would like to go out for lunch or have a few drinks after work. Attentive staff is on the site and they offer high-speed internet, office printers, free refreshments and a cleaning service. This centre offers co-working solutions for startups, students, and entrepreneurs. A cleaning service is on hand to keep the space clean, tidy and presentable. There is an onsite management team to help with any requirements. Free beverages are available. Office printers are present throughout. Situated in a dynamic neighbourhood in West Jakarta, and positioned just off Jakarta Inner Ring Road. Nearby, you will find many universities including; Trisakti University and Tarumanegara University (UNTAR). Moments walk from the space you will find many restaurants, cafes and coffee shops. There are also a number of hotels close-by. Located at Jalan Tulodong Atas, South Jakarta with a reception service, natural light and some nice paintings to make you think creative. Fully furnished, modern office which also offers meeting rooms and office printers. The centre is based in the central business district and has some nice restaurants, cafes and bars around as well as it is well connected to the public transport as the next bus station is only a two minute walk away from the building. 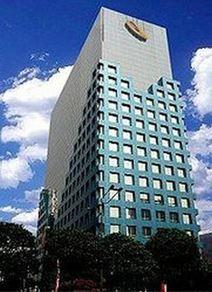 The centre is based in the CBD of Jakarta in a prime location with a big Shopping Mall and Google nearby. It is well connected to public transportation within 10 minute walk to the next bus stop. They are aiming to grow together with like-minded and enthusiastic people. 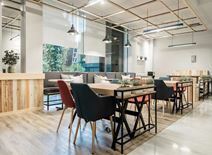 Centrally located in the heart of Jakarta, this centre offers both private serviced office solutions and co-working spaces with state-of-the-art facilities and is ideally suited for independant creative entrepreneurs and professionals. 24-hour access to the building is available and clients benefit from an excellent array of business services and facilities. The building is located in close proximity to both Kebavoran and Sudirman train stations. Located in the centre of Kuningan, and close to malls, embassies, restaurants and more, this Class A building provides serviced offices for up to six persons on cost-effective, flexible terms. This address is secure and well connected to the local transport network. Situated at Jalan Jendril Sudirman SCBD, this is one of the areas most prestigious buildings. Surrounded by many fine restaurants, shops and world-class hotels, this centre offers a full range of workspaces with beautiful views and a full range of amenities. This business centre is situated in South Jakarta in a prime central business district. This facility offers workspaces for immediate occupation. This is a modern, comfortable centre offering a full range of benefits and services. The centre based in Kuningan is well connected to public transportation as the nearest bus stop is within an one minute walk from the building. The co-working space is specialized for the Fintech Industry and with the aim of assisting the growth of business ecosystems in Indonesia. They want to create an space in which members should collaborate, exchange ideas and solutions as well as they offer various activities, ranging in the form of seminars and workshops. Based in South Jakarta, this professional business centre offers your company the ability to grow and improve in the heart of a friendly and collaborative environment. Networking with plenty of like-minded, creative individuals is made easy in this space, with workshops and networking events arranged for you. The bustling location of this office space is ideal for growing businesses - take advantage of the local transport links to make your daily commute a breeze. This fully furnished office space offers you and your business everything you could need. Equipment, reception services and administration support are just a few of the benefits in this business centre. Take advantage of the flexibility available in these offices, and save yourself from having to locate space, furniture, staff and pay all those inconvenient bills. Inclusive pricing and flexible terms also give you the peace of mind that if you need to grow, you'll have the ability. Sudirman Station isn't far from this space, so your daily commute won't be an issue. The centre is in Mampang Prapatan. It is closed to Cawang Station and Duren Kalibata Station. The centre is in a very convenient location. The centre is also closed to the shopping malls which providing a great access to all you might need within your working week. The centre provides 24 hour access, 24 hour security, air-conditioner, lounge space, meeting room, praying room and parking lot for the members daily use. These modern and bright offices are situated in the centre of Jakarta"s CBD and are part of a building designed by Japan’s renowned Shimizu Corporation. Spaces are available suitable for up to nine people. Fully furnished with full service. A workspace as dynamic as your business. This can meet your evolving business needs without overhead with a variant of choice from hot desking to full-service offices. The suite of workspace services are all-in complete with high-quality, flexible and conditional technical and administrative support. Whether for a personal or professional office, start-up or large-scale, the centre provides an ideal workspace with a prestigious business address, complete facilities at the best price. Located in West Jakarta in a dynamic environment. The space is easily accessible by public transport with the closest bus stop situated 1 minute's walk from the centre. Soekarno Hatta Airport is a 25 minute drive from the space. In the surrounding area you can find restaurants, a 5 star hotel, shopping malls and grocery stores. With efficient office design this centre is strategically located in the heart of Jakarta"s main business district close to public transport services and provides various offices from 16m² to 20m² that are suitable for between three and five people along with free meeting room use. Situated right in front of Slipi toll gate these modern office suites are located in one of the bustling areas of West Jakarta. Housed on one of the higher floors the spaces have spectacular views over the city below. This business centre combines a modern architecture with elegant interior design to create a strategic icon within the vicinity of the Jakarta Stock Exchange. 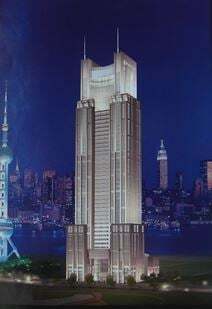 It's located at One Pacific Place, the multibillion dollar mega development of commercial and retail development in the heart of Sudirman Central Business District (SCBD). The major highways are superbly linked and the airport is only 30 minutes’ away. This fantastic Western Jakarta office space creates a community that any business would love to be part of. Offering the opportunity to collaborate creatively with other like-minded business-people, this centre allows for growth, success and satisfaction. Flexible terms and inclusive pricing mean you can "plug and play" - choose from a spacious private office for you and your team, or just a few co-working desks in the open-plan space. Just five minutes away from Central Park, this Jakarta business centre offers you the opportunity to maintain an ideal work-life balance. Develop your business in an environment of collaborative companies - the space is designed to help deliver greater growth, success and emotional satisfaction in the workplace. Perfectly located and surrounded by transportation links - you're only a short walk from the train station, while the airport is just 25 minutes drive.